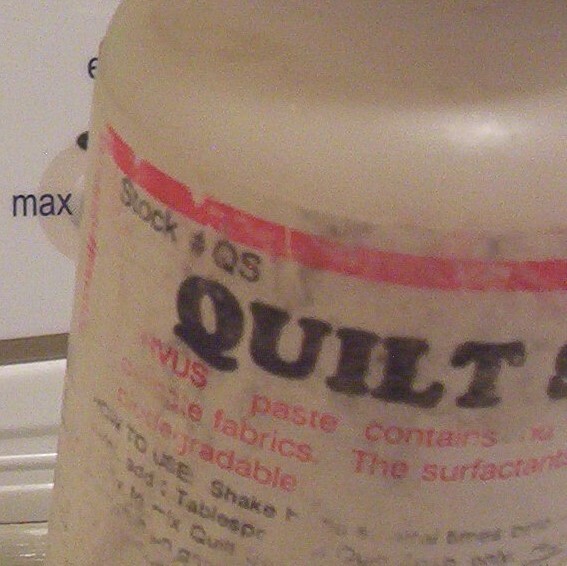 This American Quilter’s Society appraisal is filed in a safe place with a photo of the quilt. Photo by Barb Gorges. Have your quilt professionally appraised. Attaching monetary value to it may help keep it in better condition over the years. After all, if the next owner of the quilt (your friend or relation) has a copy of the appraisal in hand, they might decide their dog will enjoy sleeping on a $30 store-bought comforter just as much as a handmade quilt valued at $1000. There are different kinds of appraisals. The one most quilters want is replacement value, the value you give to your home owner’s insurance company or when shipping the quilt. It is not figured the same way as market value. If the quilt’s pattern is popular, made from a well-known quilter’s book or kit, replacement might be as simple as finding one for sale. So replacement value would be close to market value. But otherwise, replacement value is the cost of remaking the quilt, including the cost of materials and the cost of labor. A quilt made by a prize-winning quilter will be valued higher—one would need to hire a quilter with equivalent workmanship skills and that would cost more. The cost of a quilt appraisal can be $50—about the same as four yards of batik. But if you have ever lost a quilt, you know how small a price that is.